HIDALGO — RGV Barracudas FC has had a tough time earning wins in its inaugural season in Hidalgo. The team’s struggles continued despite a valiant comeback effort in a 12-7 loss to Sonora on Sunday at State Farm Arena. The second half of the season is underway for the Barracudas (2-10), who hope to improve their play and record during round two of action despite being eliminated from the playoff picture with the loss. 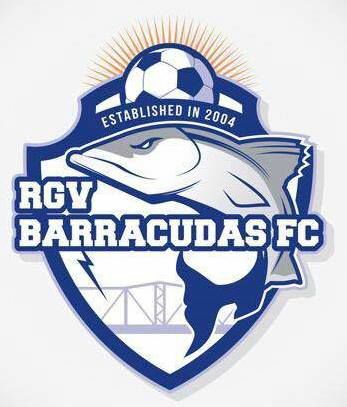 The Barracudas needed seven games to earn their first win of the season, beating the same Sonora club at home. RGV looked primed to replicate that success when Moises Gonzalez opened the scoring with a rocket of a shot from a tough angle after the dish from Rodrigo Tinoco. Despite getting on the board first for the first time since Dec. 15 against the Monterey Flash, Barracudas FC’s usual issues defending reared their ugly head. The team’s leader in points, Antonio Manfut, said the team needs to play a full game, rather than perform well in short bursts. Sonora answered the opening goal with three of its own in the first quarter. Anibal Echeverria knotted the game, then Enrique Canez gave the guests the lead. League leader in goals Frank Tayou extended that lead to two goals just 6.3 before the quarter ended. Fernando Moreno tried to inch the home side closer at with a power-play strike 3:30 into the second quarter, but Sonora answered right away to halt the momentum. The power play goal was a welcome change for the Barracudas, who have scored on only 4 of 20 man advantages, the second-worst power play in the Major Arena Soccer League at 20 percent. Halftime gave the Barracudas new life, as they came out of the break with a dominant offensive push. Former Mexican national team player Vicente Matias Vuoso finally broke through, scoring his first goal with the team in his third game on the roster. Manfut, Diego Rodriguez and Oscar Ventura all scored less than six minutes into the half to pull the home side to within one, 7-6, on the strength of four unanswered goals. That’s the closest the Barracudas would get to winning their third game of the season, as Sonora exposed lapses in coverage. The Soles weren’t deterred after the Barracudas’ run of attack. In the fourth quarter, the visitors went back to capitalizing on mistakes to outscore RGV 4-1 in the final frame. Miguel Rocha, an 18-year-old defender from McAllen, hopes to improve his game personally and the team defense as a whole. Manfut, a six-year veteran of the indoor league, has ideas on how his team can improve during the tail end of the season. The Barracudas will wrap up their season series against Sonora in their next game on the road before returning home on Jan. 20 to face the Tacoma Stars.